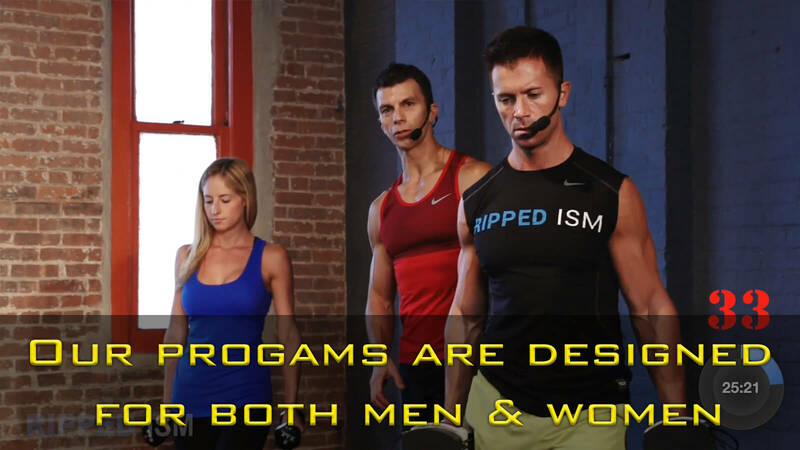 * The next evolution in your pursuit of your best body. 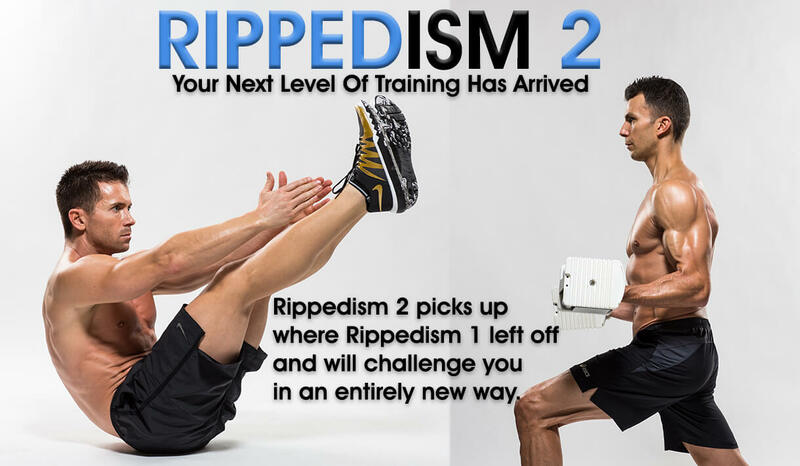 * The same intensity, but all new moves and formats that will keep you guessing and reaching for new fitness goals. * Burn week for cardio endurance, build week for strength, blast week to carve you into granite! 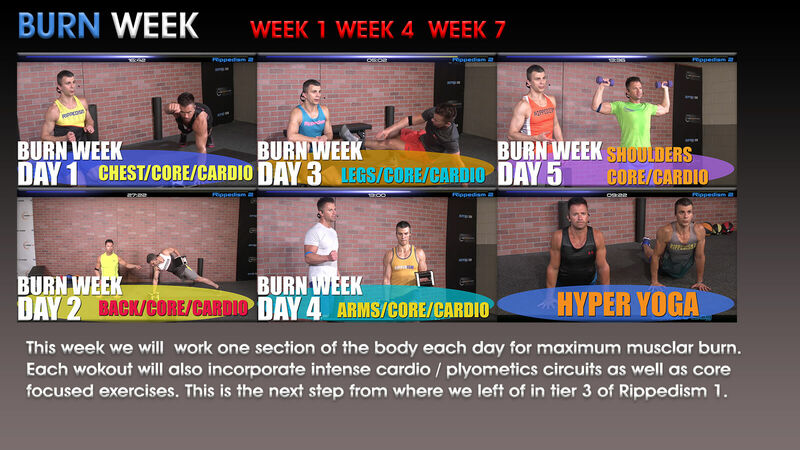 * The burn, build, blast week cycle will repeat 3 times to challenge you through 9 weeks. 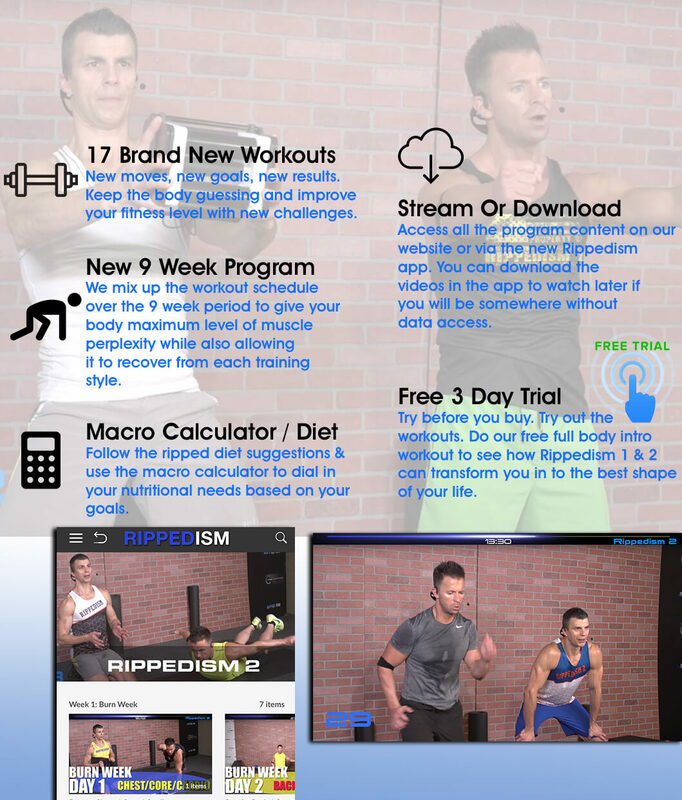 * 17 new workouts and bonus workouts added monthly for your enjoyment. * You don’t have to finish every interval to get the benefits, just strive for improvement each day and get ready to push yourself to a brand new you. * We wrote these workouts because this is how we train every day. ​​We are super excited to share this online exercise plan with you & our personal training services will be with you every step of the way! All Rippedism content is available via the new Rippedism app or on the web.